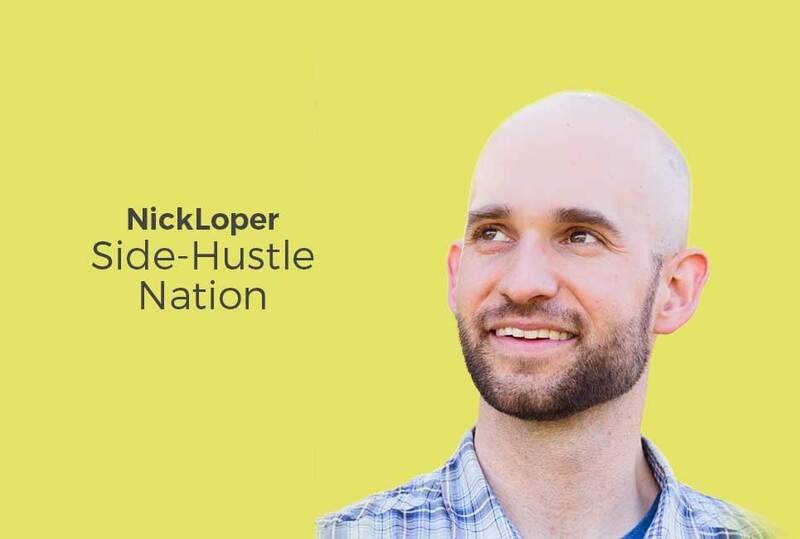 Exclusive interview with the founder of Side-Hustle Nation, Nick Loper. Nick Loper is an entrepreneur involved in a variety of projects and is founder of Side Hustle Nation. Like any business, it has its ups and downs, which can be stressful, but he learned something new every day.Now, Nick has done the side hustle and made the transition to a full time entrepreneur. In this talk, he shares his experience, strategies, and tips. He started Side Hustle Nation because he believes in the hustle. After all, what’s riskier: starting a business, or relying on your job as your only source of income? Nick used to work full-time for a giant corporation, but he built a business during nights and weekends. He knows you can do it too. Where did it all start for Nick? He worked learned essential online selling skills doing affiliate marketing for shoes. That’s right, selling shoes. This lasted for 10 years which gave Nick a tremendous amount of experience in online business. He loves the affiliate model and believes Amazon is the best known affiliate program in the world. They don’t pay a huge percentage but people trust the brand name. The big challenge is to define your value-add – why people would buy through you versus going directly to the source. He decided to help people track best deals and guide them on money savings. Nick discusses a few great solutions for adding value. Today, his main focus is Side Hustle Nation blog and podcast. It’s been a great outlet for Nick to share his experience and support others who are entering into the world of entrepreneurship. Change Creator is a brand media network for the strong-willed untamed spirits who want to create a profitable business that matters to them and the planet. © 2018 Change Creator – All rights reserved.